Gareth Jones has some nice shots of Vince Clarke’s gear. It’s almost all the good sounding gear. no „weak“ ones (if any) in here. 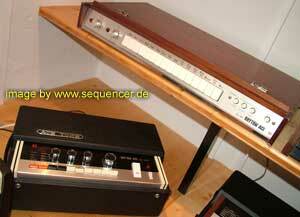 via Vince Clarke Synth Collection – a set on Flickr. Weiter Spielverbot in Karlsdorf oder umsatteln auf..
Reason 4 gets new Synth. Thor.